This interesting and beautiful creature known as a Neon Red Lobster also goes by the name Neon Red Crayfish. 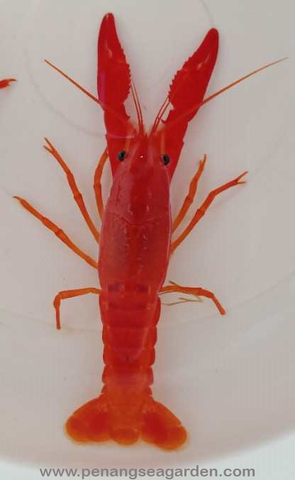 The red on this freshwater invertebrate is a natural color, which it keeps throughout its life. 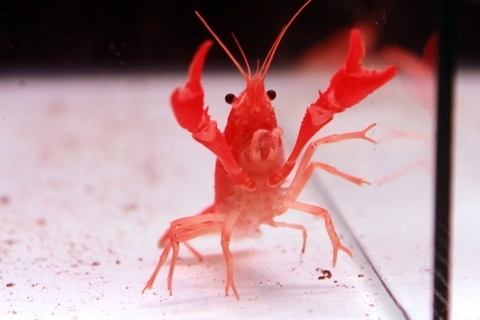 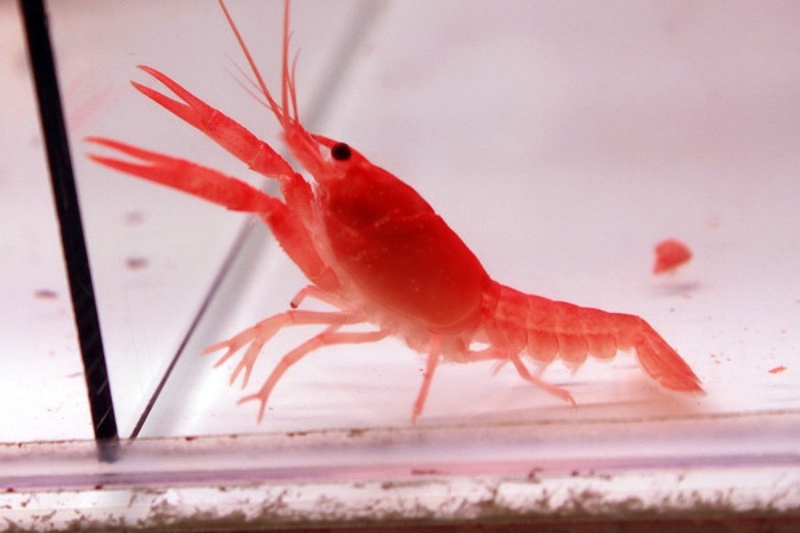 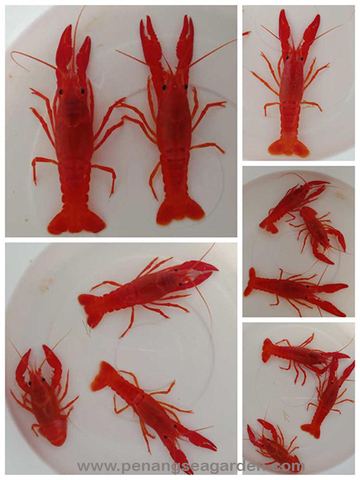 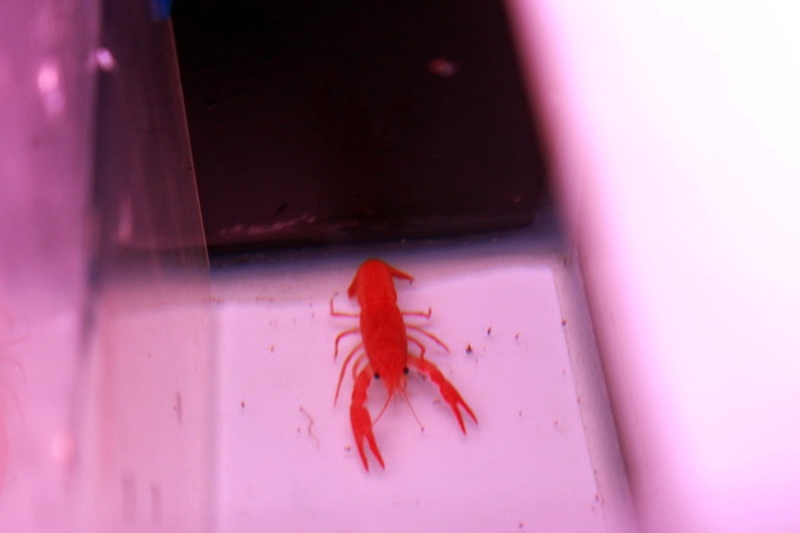 The Neon Red Lobster is somewhat territorial with its own kind as well as with other crayfish, so if two or more crayfish are desired to be housed together an aquarium of at least 20 gallons is recommended in order to give them plenty of their own space.